Since version 6.0 of Android, Google added the option of data encryption by default , a feature that sought to protect the information of users. However, this option is only available for smartphones and devices with sufficient power to support the Advanced Encryption (AES) standard, which meant that devices with less power, low-end and some mid-range, were left out of the possibility to encrypt your data. This affected not only smartphones, but also wearables, such as smartwatches with Wear OS, TVs with Android TV and even medical devices and for the connected home, which in the end put our information at risk and made us vulnerable to a possible attack. 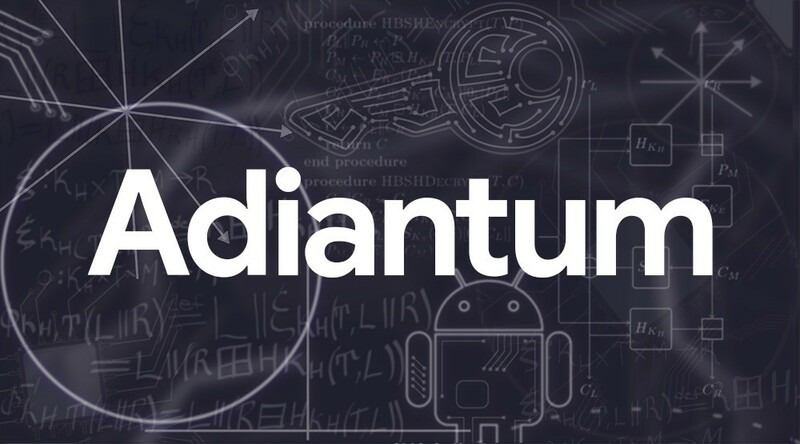 Well now Google is trying to solve this with the launch of Adiantum, its new encryption focused on low power devices . Most new devices have hardware support for AES encryption through the cryptography extensions of ARMv8, but there are low-end devices such as Android One with ARMv7 processor or Wear OS watches or TVs with Android TV that do not have that hardware support , with which they remain without encryption. Adiantum is based on the ChaCha20 encryption , which is much faster than AES encryption when hardware acceleration is not available. 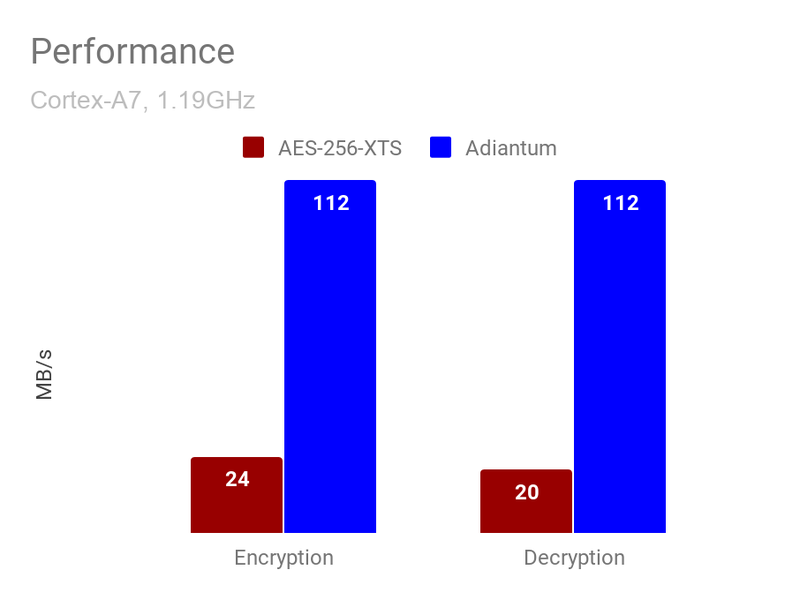 In an ARMv7 processor, Adiantum encryption is about five times faster than AES-256 . The new Adiantum encryption will only be available in those devices whose AES encryption is greater than 50 MiB / sec. Manufacturers can now optionally add this encryption on their Android 9 Pie devices. Google warns that this new encryption will be mandatory from Android Q .